Home Inspection Archives - Virginia Home Inspection Inc.
Virginia Home Inspection, Inc. is located in Lebanon, Virginia and serves all of Southwest Virginia. The company is owned and operated by Tim Rose, Virginia Certified Home Inspector (License# 3380 000241). Tim is a member of the National Association of Certified Home Inspectors. When buying or selling a home, real estate agents might recommend to a client having the house or property inspected in order to make the purchase process go smoother. The agent might then recommend 3 to 4 inspectors to choose from, and then you must decide which home inspector is best for your situation. The inspection choices you might receive from an agent could be a mix of general contractors and certified home inspectors. 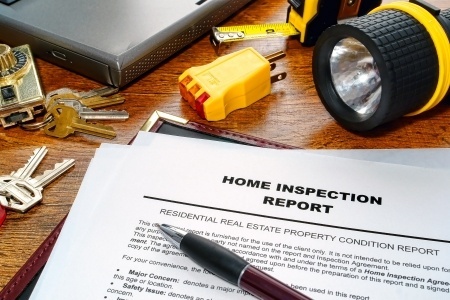 For those who aren’t versed in home inspection, you might not be sure which to choose. Well here’s some information to make a more educated decision on why you need your inspection done by a home inspector instead of a general contractor. In most circumstances, selling your house on the real estate market can be a complicated and daunting process. Real Estate agents might advise you to have the buyer worry about the home inspection because they will pay for it, but is that beneficial to the seller? Not necessarily. Having a pre-inspection done by a home inspector, can put you the seller in control of your asking price. If you know ahead of time what discrepancies or “deficiencies” could be found on the home inspection, then you are able to anticipate the worth of your home and how much it will go for on the market. This pre-listing inspection process can cover you against a renegotiation of the asking price or the buyer trying to back out of the sale due to unseen property issues.